Hornswoggled! | Custom Children's Book | Kabook! Solve the riddles, find the treasure! 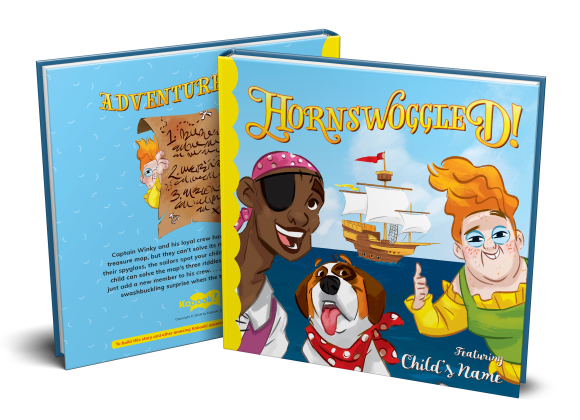 Three savvy swashbucklers can't find their buried treasure, but your kid has the answers! Answer a question and upload two photos to build your book and find out! Add a photo of your child smiling and waving. Add a picture of yourself as the kissy tickle monster and whenever you read this story, end it by smothering your child with tickles, hugs & kisses!